Meet Alexa. This tool is going to become a provider’s new BFF when it comes to marketing! Alexa used to be an independent company before it was bought by Amazon. Alexa was popular for determining traffic to websites, and it is still a beneficial tool today! Alexa doesn’t have many difficult functions, and it is easy to use. Most average computer users can just apply common knowledge when it comes to using this service. On the homepage, users can type the web domain of their choice in the form to analyze the website’s traffic and statistics. Not much of a difference, but you get my drift. 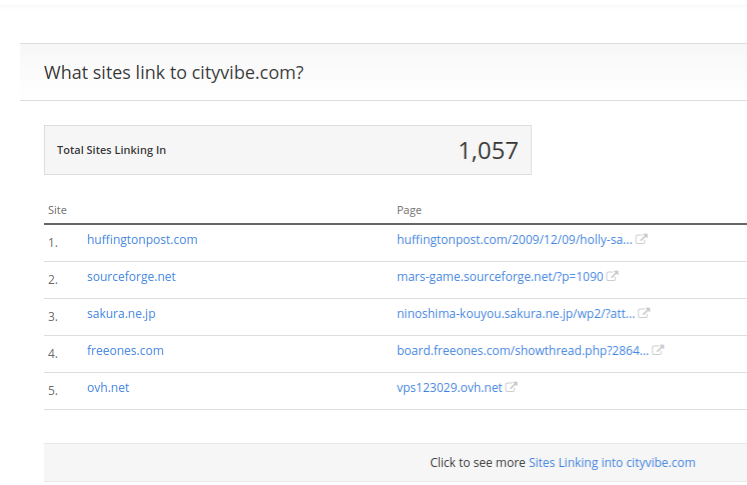 I’ll be using CityVibe as an example to how analyze a website’s statistics. Site overview is the first part of the analysis, and here the user can see how high CityVibe ranks in the USA and globally. 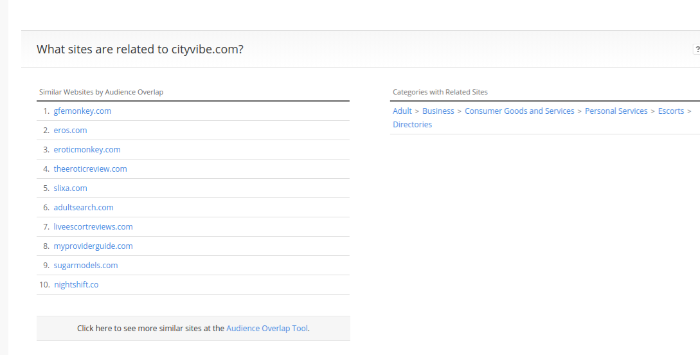 Scroll down a little and now users can seek how visitors interact with CityVibe. Bounce rates are viewers who leave a website after only seeing one page. Page views are the number of pages that were either clicked on or viewed at any time on a website. Daily time is measured by the amount of time that a user spends on a website. 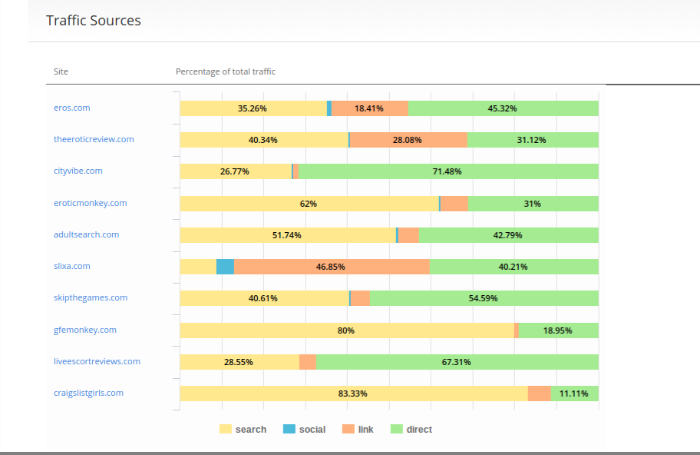 Top keywords are also shown as well as search traffic. Sites linking in is when Alexa finds pages from other websites that have a link to a site. This is another feature when using Alexa to analyze web statistics. In site comparison, the user can compare a minimum of 2 websites with a maximum of 10. Alexa compares traffic, unique visitors, traffic visitors, traffic sources, etc. for each website. Eros is considered to be the grandiose platform for American escorts, and it’s ranked 4,919 (previously 5,093) in the USA compared to Slixa, which is ranked 29,855 (previously 28,665) in the USA. The Alexa site rank is helpful in determining which websites to use for advertising since it gives you info on the website’s traffic! Feel free to email me with questions or comments. Thank you.